Senator-Elect Jim Burgin statement on NC Senate passing the Voter ID bill. 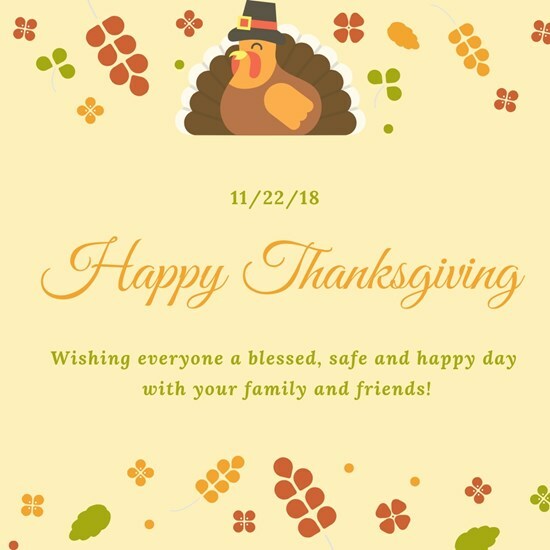 Ann and I wish you a day full of blessings as you gather with family and friends to enjoy the goodness of God. From our family to yours, Happy Thanksgiving! It is an honor to have received an endorsement for the NC Senate from the Triangle Apartment Association Political Action Committee. Thank you for your support and your commitment to a "Brighter Future" for North Carolina. Check out the following article published in the Carolina Journal. I enjoyed speaking with journalist, Leslee Kulba, about a BRIGHTER FUTURE. Thank you, Leslee for writing this article. The choice is “clear…” vote JIM BURGIN NC SENATE DISTRICT 12. Thrilled to be one of the candidates featured on “Lee County’s Conservative Voice” weekly broadcast. Check out the link above to see the entire segment and hear how together we can create a BRIGHTER FUTURE. "Lee County’s Conservative Voice" is a 30-minute live broadcast that airs every Thursday at 8PM on WBFT-TV 46. The General Assembly recently announced that $800 million has been set aside for Hurricane Florence recovery efforts. Allocating these funds towards recovery for housing, agriculture and businesses would have been impossible without the wise planning and stewardship of those in office. I am looking forward to the details of this emergency response package being released in the coming weeks. Together, we can work to create a brighter future. Early Voting for the November Election starts today, Wedesnday, October 17, 2018 and will run until Saturday, November 3, 2018. Be sure to cast your vote for Jim Burgin NC Senate District 12 and let's all work together FOR A BRIGHTER FUTURE. Check out the link for Early Voting locations and times in your area: One-Stop Voting Sites. THE 2018 ELECTION IS ALMOST HERE! Click the link above for a complete list of where you can vote on Election Day within Harnett, Lee and Johnston Counties. Remember, one vote can change the future. Be sure to cast your vote for JIM BURGIN, NC SENATE DISTRICT 12. One of my major focus issues is Mental Health Reform. Here in North Carolina, many of our citizens are impacted by mental illness. Instead of just telling you it's Mental Health Awareness Week, I'm taking action. 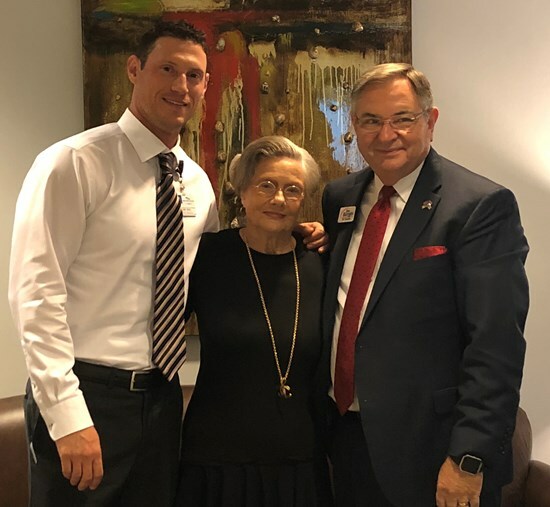 Yesterday, I spent time with Harnett Health President, Corey Hess & Vice Chair of the Harnett Health System Board of Trustees, Cornelia Stewart, to discuss much needed change to ensure those who suffer receive necessary treatment and support. 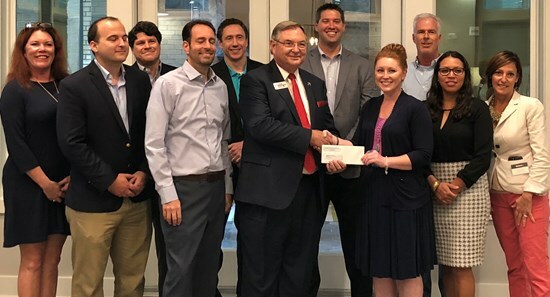 The partnership between Harnett County Schools and Central Carolina Community College offers a unique opportunity for high school students to earn college credit, lower the cost of a higher education and complete their degree in a shorter time frame. It is imperative that we continue to provide resources for a quality education for today's and tomorrow's leaders. If you would like to learn more about the opportunities offered to high school juniors and seniors click the above link. 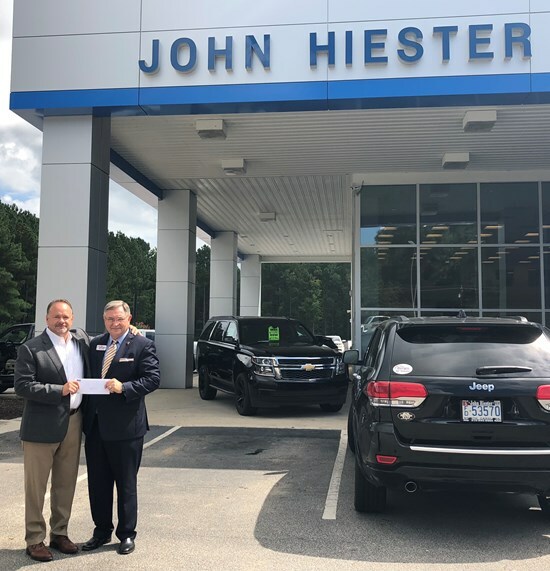 It is an honor to have received an endorsement for the NC Senate from the North Carolina Automobile Dealers Association Political Action Committee. Thank you for your support and your commitment to a "Brighter Future" for North Carolina. 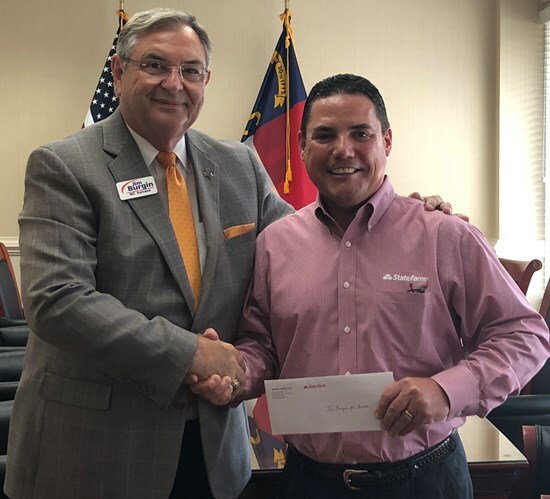 Thank you to NC State Farm Agents for your continued support and encouragement. I am honored to have received your endorsement for NC Senate District 12. One decision can change the future. There are only 13 days until early voting and 32 days until the General Election. Before you hit the polls, it is important to be informed and remain informed. On the November ballot you will see six amendments proposed by the NC Legislature which are for voter consideration. For detailed information about the six amendments, click the above link! Today, I stopped by the FEMA Disaster Recovery Center in Lillington. Workers are ready and prepared to help anyone affected by Hurricane Florence get on the road to recovery. Representatives at the center will explain available assistance programs and help connect survivors with resources that best match their recovery needs. If you are in need of assistance, the FEMA DRC is located at Senior Corps Building 309 W. Cornelius Harnett Blvd. Lillington, NC 27546. This location is open Mon-Sat from 9AM-7PM, as well as on Sun. from 9AM-1PM. Do you need to update your voter registration? Need to request an absentee ballot? Vote.GOP can help! Voters from across North Carolina can access this website and register to vote, request an absentee ballot, and find Early Voting locations. Make sure to vote Jim Burgin for NC Senate District 12. Together, we can work to make effective change FOR A BRIGHTER FUTURE. Many of our families, neighbors and friends in the District 12 counties of Harnett, Johnston and Lee, have been affected by heavy rains, strong winds and flooding brought on by Hurricane Florence. Currently, thousands of citizens are dealing with the damage left behind to their homes and businesses. Our communities are hurting and need our help! Please join me in prayer for those suffering as a result of Hurricane Florence. During seasons of trials I am reminded of the following verse: “Do not be anxious about anything, but in every situation, by prayer and petition, with thanksgiving, present your requests to God.” Phillippians 4:6-7. Let us turn our faith into action and do what we can to help our fellow citizens. You can help by donating any of the items listed below. Your generous donation will be given to those affected by Hurricane Florence in our district. We will be collecting items at Crossroads Church of Lillington, 1301 S Main St. Lillington, NC 27546 and Gospel Tabernacle of Dunn, 2105 W Cumberland St. Dunn, NC 28334. Both locations will be accepting donations starting Wednesday, September 19th —September 26th from 9AM until 5PM. As the candidate for NC Senate District 12, one of my three central issues is the opioid crisis facing our citizens. I am pleased the Opioid Crises Response Act passed the United States Senate. However, there remains work to be done. It is important that we, as a community, become aware of the signs of legal and illegal drug abuse and take action to prevent further devastating expansion. This epidemic is not a political issue. It does not recognize party interests or social categorizations such as race, class and gender—it affects everyone. When I am elected to the NC Senate, I will work with anyone that can help bring a workable and positive solution for all North Carolina citizens.